Chris Sale’s right foot is purple. You’d notice something like that on anyone, but when the hoof of a 6-foot-6, 180-pound man looks like it’s been injected with a gallon of grape Kool-Aid, it really sticks out. When that man is one of the five best pitchers on earth, and the linchpin of a rebuilding team that has lost 188 games over the past two seasons, it should be a terrifying sight. Yet not a single soul at White Sox camp is sweating their staff ace’s injury: a combination avulsion fracture/sprained ankle. Rick Hahn, the general manager, talks hopefully of Sale missing no more than a start or two. Manager Robin Ventura reports that Sale is in good spirits. And the lanky lefty himself can be seen smiling and joking with teammates. Even by the optimistic, every-team-is-undefeated standards of spring training, the White Sox look positively giddy. That’s because, for the first time this decade, Chicago genuinely seems like a club on the rise. If the Padres were this offseason’s manic Supermarket Sweep shoppers, the White Sox were the flea-market veterans, biding their time and finding deals where no one else was looking. Over the winter, no American League team did more to improve itself than the Pale Hose. The additions of front-line right-handed starter Jeff Samardzija, veteran bats Melky Cabrera and Adam LaRoche, lights-out closer David Robertson, and shutdown lefty setup man Zach Duke, among others, have given the Sox plenty of reasons to be happy while their ace nurses his plum-colored extremity. Add that offseason haul of established veterans to a young, cost-controlled core that includes Sale, the heavy-hitting Jose Abreu, and ace leadoff man Adam Eaton, and this team that’s been an also-ran for the past six years has the look of a stealth playoff squad. Only a year and half after Hahn embarked on a massive rebuilding project, everything seems like it has gone according to plan in Chicago. Well, at least according to plan B. On October 26, 2012, the White Sox promoted Hahn, the longtime assistant GM, to general manager and shifted then-GM Kenny Williams over to executive vice-president. Saddled with a core of aging, big-name players and given his reputation as a more analytically minded decision-maker than his predecessor, Hahn was expected to make some immediate and aggressive changes. It looked like a perfect opportunity for a numbers guy to come in and quickly modernize an aging roster. That assumption somewhat belied the club’s situation at the time. The Sox had just led the AL Central for 104 games in 2012 before fading down the stretch, finishing three games behind Detroit and missing out on a wild-card bid. Plus, even if the roster was littered with thirtysomething veterans, those highly paid stars — Paul Konerko, Jake Peavy, Adam Dunn, and Alex Rios chief among them — were still some of the best players on the team. The rookie GM initially decided to stay the course. Figuring they could naturally rebuild for 2015 once the big-dollar contracts came off the books, the Sox would try to make a run for it in 2013 and, hopefully, 2014. But come the 2013 All-Star break, Chicago stood 18 games below .500, dead last in the division. Two years early, it was time to blow it all up. The first to go was lefty reliever Matt Thornton, a mainstay of Chicago’s bullpen for years. Two and a half weeks later, Hahn shipped Thornton’s wingman Jesse Crain to the Rays. Neither deal yielded much in return, though. Going forward, the immediate mission was twofold: replenish the depleted farm system, which Baseball America ranked 29th heading into the 2013 season, and shed enough salary for the franchise to be flexible heading into free agency. On July 30, 2013, the White Sox pulled off a deal that did both. 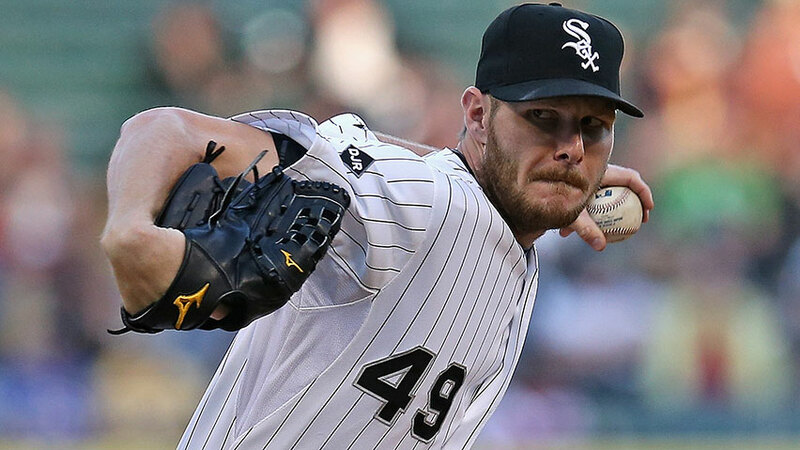 As part of a three-team trade that sent Peavy to Boston, Chicago brought in outfielder Avisail Garcia from the Tigers and middle infielder Cleuluis Rondon and starters Francellis Montas and Jeffrey Wendelken from the Red Sox. The two Boston prospects haven’t yet amounted to much, but 20 months after the trade, Hahn now sees the 23-year-old Garcia as a potential middle-of-the-order power bat for this season, and Montas, who turns 22 in less than a week, as the kind of elite young arm that 29 other teams would love to have. Ten days after the Peavy deal, Hahn sent Rios to the Rangers for a player to be named later, who turned out to be outfielder Leury Garcia, a light-hitting, less impactful player than Avisail or Montas, but still a useful part-time player who provides some speed off the bench and makes only the league minimum. More important, though, Chicago was free of the $25 million on the final two years of Rios’s contract. This past season, Hahn traded Dunn to the A’s in a deadline deal for pitcher Nolan Sanburn, a former second-round pick. And the final, most symbolic step of the clear-out came when Konerko, the team captain and face of the franchise since Frank Thomas left in 2005, retired last September. 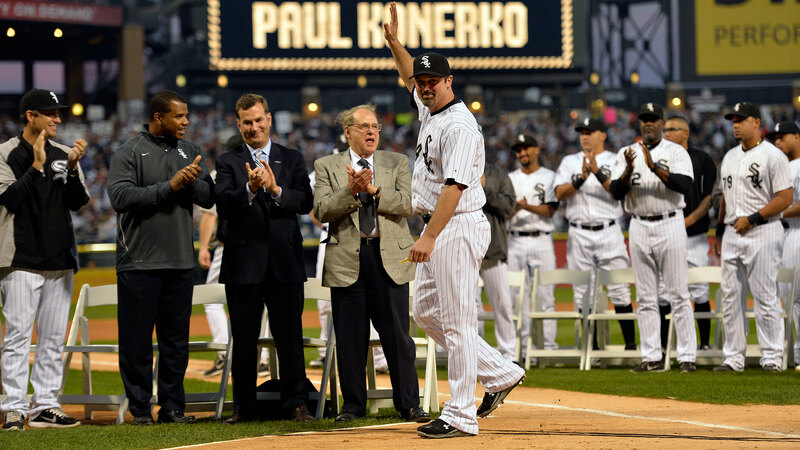 Konerko’s final two years in Chicago saw only a combined 136 wins. The ugly on-field product, in addition to the departure of the team’s more recognizable names, hurt attendance, which declined 10 percent from 2012 to 2013, and a further 7 percent last season. In other words, it was easy to see why Hahn had initially held off on a rebuild. Although, if he’d known who’d be replacing Konerko, Hahn might not have been quite so hesitant to look to the future. In 2015, Major League Baseball finds itself awash with Cuban talent — and, thanks to loosened restrictions on travel between the two countries, more potential stars could be coming soon. As recently as three years ago, though, the picture looked very different. Sure, there had been a handful of Cuban stars over the years who’d landed in the U.S. against long odds and made a big impact in the big leagues, but the few successes were an exception rather than the rule. Due to an embargo and more than 50 years of mistrust, scouts couldn’t fully evaluate the talent level of top Cuban prospects because they simply couldn’t watch them as closely as players from other countries. When Jose Abreu put up video-game stats on the island, it took some skill — but also some luck — to figure out how those numbers might translate to The Show. 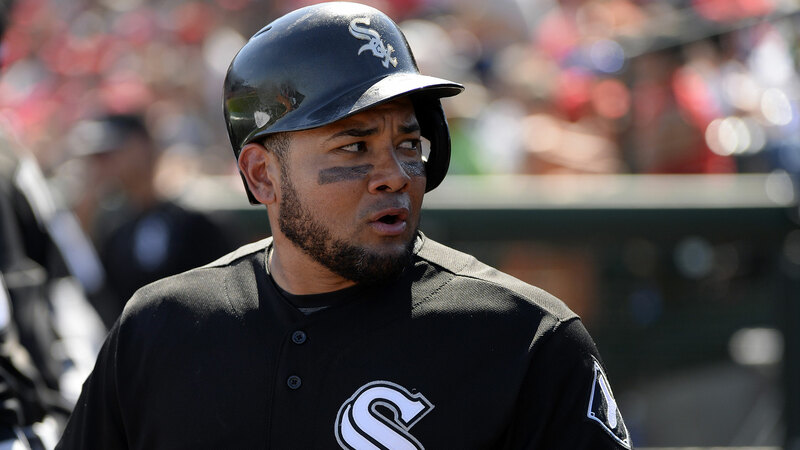 Once Abreu became available in the fall of 2013, Hahn brought him up to Williams and owner Jerry Reinsdorf. Williams showed some initial enthusiasm, while international scout Marco Paddy, who had followed Abreu’s career closely for years, offered glowing reports. 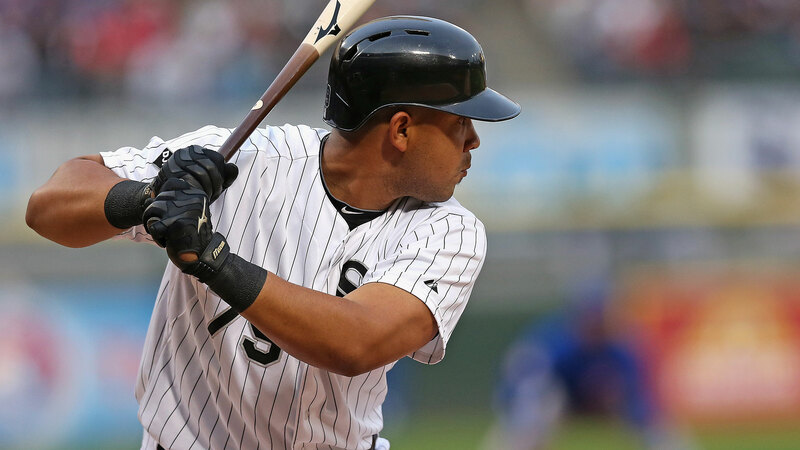 The pair then went down to watch Abreu work out in the Dominican Republic, and upon returning Stateside, Williams pounded the table in favor of signing the Cuban slugger. To land Abreu, the White Sox would need to outbid 29 other teams and also offer more money than they had for any other player in franchise history. All that for a guy whose off-the-charts numbers might have been the product of cream-puff competition? Reinsdorf was skeptical. Hahn & Co. kept pushing, though: Power numbers are drying out in the majors! We’d be able to sign him in his mid-twenties! Right as he’s entering his prime! Eventually, the owner came around. On October 29, 2013, the White Sox announced the signing of Abreu for six years and a club-record $68 million. In his rookie season, the Cuban cranked 36 homers, batted .317/.383/.581, made the All-Star Game, won a Silver Slugger, finished fourth in MVP voting, and was unanimously selected as AL Rookie of the Year. In addition to bringing in a middle-of-the-order thumper like Abreu, Hahn had a handful of other broad goals in mind when he took over as GM: He wanted to build a young roster filled with athletic players, pitching depth, and a true table setter for the lineup — a high on-base guy who could give the big boys lots of RBI opportunities. 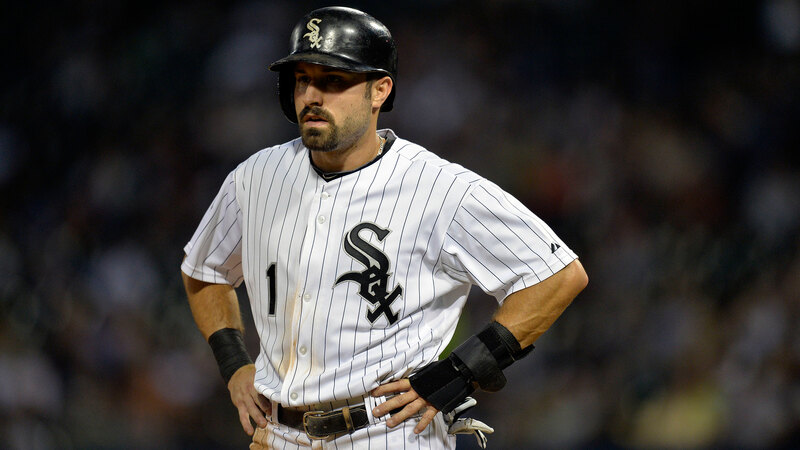 Six weeks after nabbing Abreu, Hahn got his man in Arizona center fielder Adam Eaton, who landed in Chicago as part of a gigantic, three-team trade. The Sox sent up-and-coming lefty Hector Santiago to the Angels and got Eaton back from the Diamondbacks, with Mark Trumbo, Tyler Skaggs, and two other players changing clubs. In Year 1 with the Sox, Eaton delivered, batting .300/.362/.401, swiping 15 bases, and playing excellent defense at a premium position. Entering his age-26 season, he’s already one of the best leadoff hitters in the American League, and he could be on the verge of a breakout. Eaton’s biggest question mark, thanks to his checkered injury history, remains his health: He missed 39 games last season and landed on the disabled list twice. For that breakout to happen, it might simply be a matter of staying off the DL: 150-plus games — hitting .300, with walks, decent gap power, a bunch of steals, and good defense — would thrust Eaton into a tier just below the league’s MVP-level elite. With Eaton, Abreu, and Avisail Garcia all under team control for at least the next four seasons, the Sox finally had the kind of talented young building blocks around which to build a lineup for years to come. Unlike their fresh new bats, the centerpiece of Chicago’s pitching arrived in the pre-Hahn-as-GM era, when they drafted Sale out of Florida Gulf Coast University in 2010. But after a breakout year for Sale in 2012, it was the new GM who made sure to nail down the southpaw ace for five years and $32.5 million, with two club options tacked on. Compare those numbers to the monster free-agent contracts given to Max Scherzer and Jon Lester, combine the double-digit value with the fact that Sale doesn’t even turn 26 until next week, and you get what is arguably the most team-friendly contract for any pitcher in baseball. With Sale locked up, the next twentysomething pitcher to sign a long-term deal was lefty Jose Quintana in March of last year. In 2013, Quintana quietly emerged as one of the best starting pitchers in the AL, tossing 200 innings with a park-adjusted ERA that was 20 percent better than league average. Although the team controlled his rights for five more seasons at that point, the inherent injury risk for any pitcher made Quintana eager to sign a more lucrative contract sooner rather than later, and, as with Sale, Hahn wanted to lock up one of his best young players with a deal that would buy out his arbitration and keep him from free agency. Those factors led to a five-year, $26.5 million contract, plus two club options that could keep Quintana on the South Side through 2020. Still, though the 2014 season ended with huge efforts from bargain stars Abreu,1 Sale, and Quintana, there were too many holes on the roster. With the big salaries of Rios, Dunn, and Konerko finally gone, the Sox had a war chest of money to give away. They just needed the right reason to use it. Like most analytically oriented GMs, Hahn — who traded away Thornton, Crain, and later closer Addison Reed — recognized that rebuilding teams couldn’t afford to allocate precious resources to veteran relievers. Although that reasoning makes sense from a team-building perspective, a year and a half of throwing away late-inning lead after late-inning lead — White Sox pitchers blew 21 saves last year, the third-highest total among AL teams — got old in a hurry. A week after bringing in Duke, the Sox picked up Adam LaRoche, who, coming off a season in which he slammed 26 homers and put up offensive numbers 27 percent above league average, should provide a badly needed lefty bat to complement Abreu. Even better: The deal comes in at a reasonable two years and $25 million. Now, neither move led to celebratory riots in the streets, but both provided a hint of the team’s new thinking: The Sox were ready to spend real money to land quality veterans who could complement the core young guys. Oh, and spend they did. The baseball universe is changing: Both the Yankees and Red Sox missed the playoffs in 2014. And as we’ve seen from many big-money signings over the past few years, players will happily sign with teams that don’t play in New York or Boston. Even still, you don’t expect the freaking penny-pinching White Sox to be one of the splashiest teams at the winter meetings. Yet that’s exactly what happened over one 24-hour stretch last December. 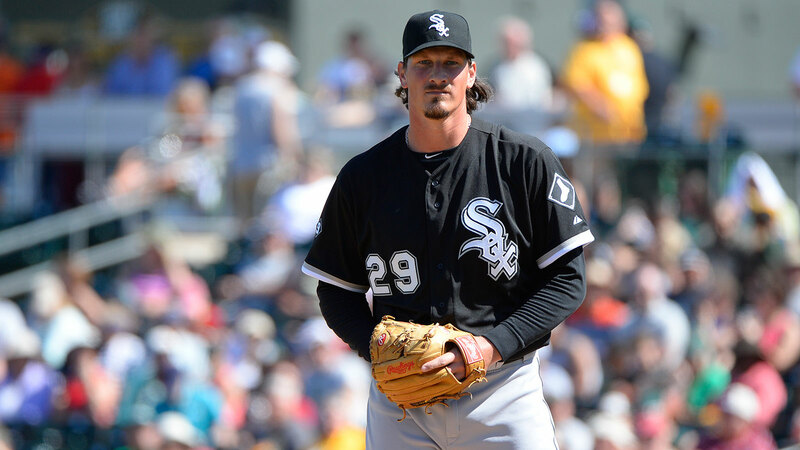 With Oakland in the midst of a gigantic makeover, and given that Samardzija could opt for free agency after the 2015 season, the White Sox knew they could snag him for the right price. He was a highly skilled veteran pitcher who’d attract lots of interest from other teams, so they’d have to give up real talent to get him. On December 9, Chicago pulled off the deal, sending four young players (including talented middle infielder Marcus Semien) to the A’s in exchange for Samardzija and minor leaguer Michael Ynoa. Just a few hours later came another big move. The next day, the Robertson deal was announced — four years, $46 million — and just like that, Chicago had a second excellent relief pitcher who could effectively turn games into seven-inning affairs, along with a front-line righty starter. The team of Abreu, Sale, Eaton, Quintana, and Garcia had now added Duke, Robertson, Samardzija, and LaRoche, making the White Sox look like far more viable playoff contenders than they’d been only a month earlier. From the moment the Giants finished off the Royals to win the World Series, the White Sox had pined for Melky Cabrera. Hahn saw Cabrera, a switch-hitter with good contact skills, as a perfect player to squeeze between Eaton and Abreu in the lineup. At the beginning of free agency, when Hahn reached out to Cabrera’s agent, Peter Greenberg, the reaction was mixed. Yes, Cabrera liked the city of Chicago. Yes, he liked hitting at U.S. Cellular Field. Of course he’d love to hit in front of a masher like Abreu. But with all due respect, Greenberg said, his client wanted to win. Before all the offseason acquisitions, the White Sox still didn’t look like a winning team. At the start of the offseason, Hahn had received a payroll target from Reinsdorf based on a combination of conjecture and projected revenues. Signing Duke, LaRoche, and Robertson and trading for Samardzija had taken the Sox toward that limit — but there was a happy side effect to the shopping spree. Splurging on all of those players caught Cabrera’s attention, while the surge in ticket sales impressed Reinsdorf, who could start to project an increase in revenue and became willing to loosen up the purse strings just a tiny bit more. With the player now interested and the money suddenly there to spend, everything fell into place. A week after that celebratory dinner for Samardzija and Robertson, the White Sox announced their final major deal of the winter: three years and $42 million for Cabrera. Despite the biggest and best offseason haul in the 114-year history of the franchise, the roster still has holes, especially at second base, where Micah Johnson, Carlos Sanchez, Emilio Bonifacio, and Gordon Beckham offer numerous less-than-ideal possibilities. Hahn said he’ll explore more trade options as the season progresses, especially if the Sox are in the hunt. Whatever transactions the future holds, after enduring some ugly days at New Comiskey, there’s finally hope for Chicago this season, and even more for the years that follow. The future is bright — and hopefully a different color than purple. After what he did in his rookie season, yes, Abreu is a bargain star even though he’s also on a team-record deal. Miller set the world on fire with a 1.51 FIP last year, but Duke’s was also a very low 2.14. Less-heralded but still potentially valuable pickups this winter included catcher Geovany Soto, super utility man Emilio Bonifacio, and Gordon Beckham, back for another tour of duty. A hidden source of strength: Thanks in large part to longtime pitching coach Don Cooper and longtime team trainer Herm Schneider, the White Sox have done a better job of avoiding injuries than any other team over the past 13 years. “They’re the biggest reason I came back,” Jesse Crain told me when asked about why he’d returned to the White Sox on a minor league deal.